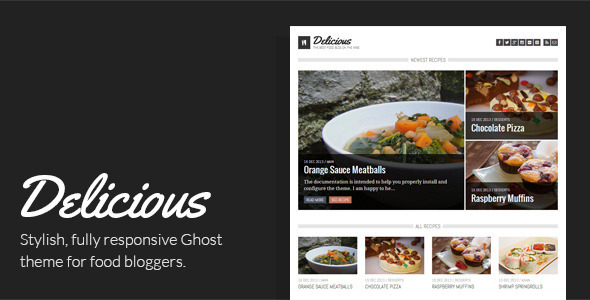 Delicious is a fully responsive Ghost theme for food bloggers. 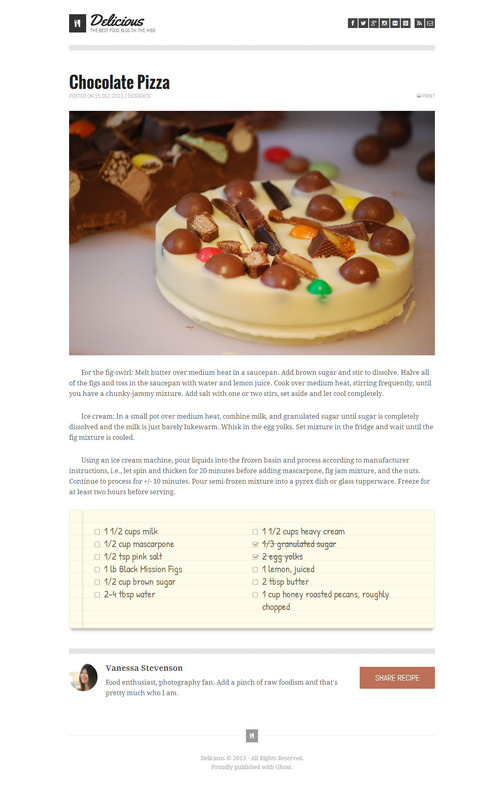 With your meals on focus, it is the perfect theme to show off your cooking skills and amazing food photography! - Back to top button bug fixed.